The Heathman Hotel, a full-service luxury hotel in Kirkland, Washington, is now offering a Pampered Pooch Package. The Heathman Hotel, a full-service luxury hotel in Kirkland, Washington, is now offering a new, luxurious pet package for its doggie visitors. 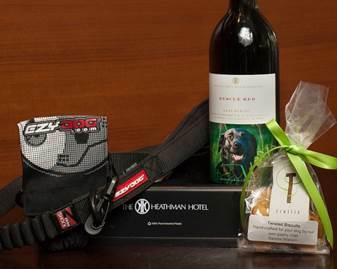 The Heathman, well- known and awarded for its superior service and amenities for human guests, has announced the Pampered Pooch Package, filled with everything a pet could want in order to feel as well-rested and indulged as their owners. The hotel’s Pampered Pooch Package provides a selection of dog-friendly goodies upon arrival, including a durable100% recycled dual dog dish, an EzyDog shock absorbing leash with attachable doo bag and a selection of fresh dog treats, made in-house at The Heathman’s farm-to-table restaurant, Trellis. Pet owners will also enjoy a bottle of private label “Heathman Rescue Red” wine. A portion of the proceeds from this package will benefit local animal rescue shelters. Overnight accommodations in any of Heathman Kirkland’s room types. The pooch amenities can be added to any reserved room for only $60 (it also makes a great gift for your dog loving friends and family). The Heathman Hotel in Kirkland, located on Seattle’s Eastside, provides guests with the ultimate in gracious service in an ambience of understated elegance and comfort. In 2013, the hotel was featured on Condé Nast Traveler’s Gold List and the 2013 edition of U.S. News & World Report’s Best Hotels rankings. Additionally, the Condé Nast Traveler Readers’ Choice awards ranked the property as the 88th best hotel in the world in 2012. The hotel has also garnered the AAA of Washington Four Diamond Award®, an indicator of excellence that promises travelers an unparalleled lodging experience, and is also a member of the Preferred Hotel Boutique Group. The Heathman Hotel features 91 classic guest rooms and suites, and Trellis, a 90-seat wine-country-inspired restaurant and bar helmed by Chef Brian Scheehser. Trellis’ rustic, robust menu evolves with the seasons, often featuring items from Scheehser’s own 10-acre farm. For reservations and information, visit heathmankirkland.com or call 888-264-5494. 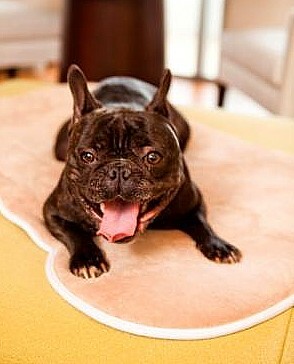 Loews Loves Pets wants four-legged guests to relax and rejuvenate with the “Woofie Weekends” package featuring the new Microdry Memory Foam Ultimate Luxury Pet Mat. Available now through April 30, 2011, the “Woofie Weekends” pet package features a one-night stay for you and your BFF (Best Furry Friend), a “Wag Your Tail Delight” meal delivered to your room, $25 pet cleaning fee waived, and a luxurious Microdry memory foam mat for your pet to use during their stay and for you to take home. This super-soft mat features a ½ inch of memory foam to provide contoured support and help retain body warmth for enhanced coziness. Since the start of the Loews Loves Pets program 11 years ago, many VIPs (Very Important Pets) have made Loews Hotels their home away from home, enjoying the special treatment and privileges that are offered at all our properties. As part of the program, each visiting VIP can travel in first-class comfort with gourmet room service, specialized bedding, a pet amenity and guest services designed to make pets and their owners feel right at home. The “Woofie Weekends” package is subject to availability at all Loews Hotels in the U.S. and Canada with rates starting at $134. For more information or to book, call 800-23-LOEWS or visit www.loewshotels.com. Pet lovers visiting Walt Disney World Resort can now plan to board the family pet in fun, luxurious new accommodations. Reservations are being accepted for pet boarding stays beginning Aug. 27, 2010, for the new Best Friends Pet Care Resort. 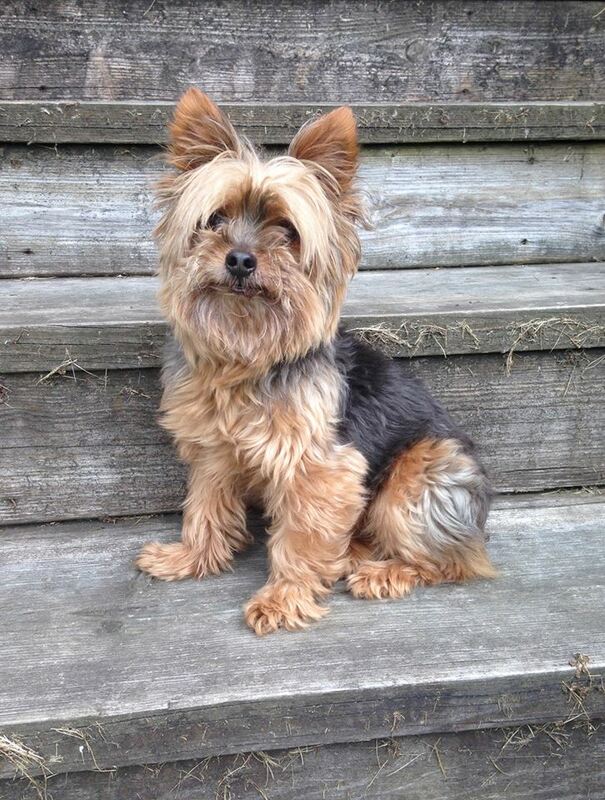 The pet resort is operated by Best Friends Pet Care (www.bestfriendspetcare.com). Pet parents can choose from a wide range of a la carte activities for pet guests from one-on-one playtimes and social playgroup with other doggy guests, to cuddle time and bedtime stories with staff. Additional amenities and upgrades include Ice Cream Treats, Bottled Water and Premium/Orthopedic Bedding. Feline guests can also enjoy private playtimes, activity toys in their suites and treats such as Cookies and Milk or Tuna on a Ritz.